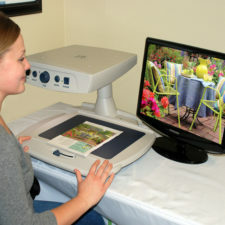 The Prodigi Desktop 20 is easy to use and has no confusing knobs or dials and no awkward X/Y table. The Touch and Tap™ controls are easy to learn. All you have to do is place your document and hit the zoom in and begin reading with your present magnification and enhanced contrast and reading mode. 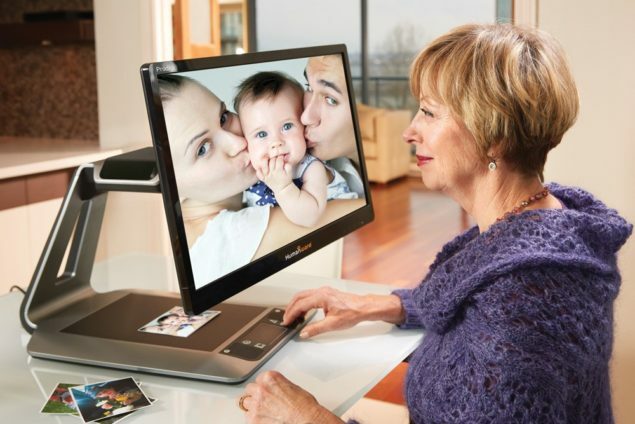 Prodigi uses the same touch controls for both the desktop and portable table, so it’s easy to use both home and away. Prodigi’s Diamond Edge Text TM can be magnified infinitely without compromising image quality. See images in full color and Diamond Edge Text in enhanced contrast! Or enjoy effortless reading with Prodigi’s many reading modes and smooth flowing text that you can magnify, speed up, slow down or even go back, all without moving your page. 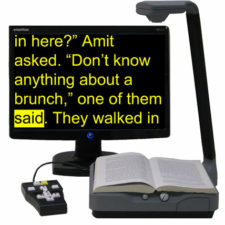 And Prodigi can even read aloud if you prefer to sit back and listen! Right out of the box, the Prodigi Desktop’s built-in tutorial guides you through the optimal reading preferences for your unique vision needs. Whatever size, color, contrast, orientation, or speed, Prodigi adapts to you. Best of all, your preferences follow you wherever you go. The Prodigi Desktop model is designed to be a tremendous value. 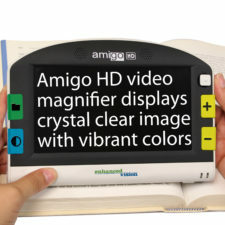 With HD image quality and its intelligence, no other low vision magnifier can offer more at this price tag. 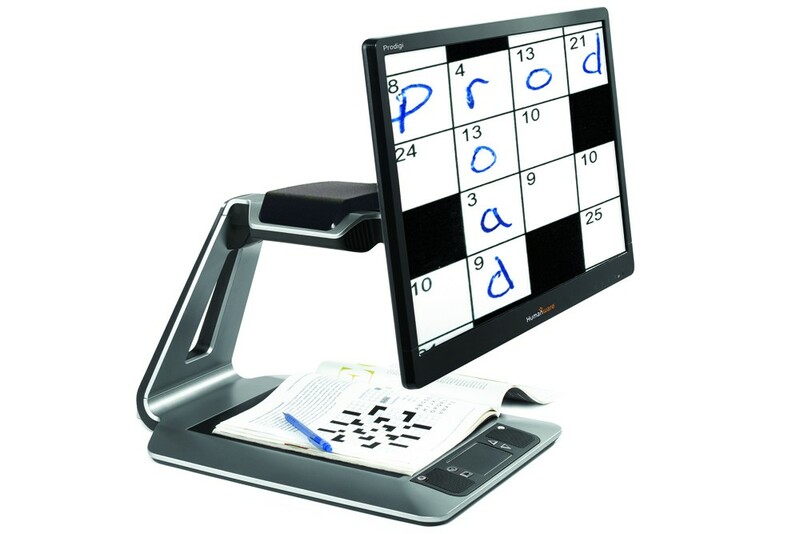 The unique and affordable table-top magnifier that makes seeing and reading comfortable and efficient. Touch and Tap™ controls: no X-Y table or bulky knobs to turn. Diamond-Edge Text™ that can be magnified as much as needed without loss of image quality. Switch from reading documents to listening to them, with the tap of a finger. 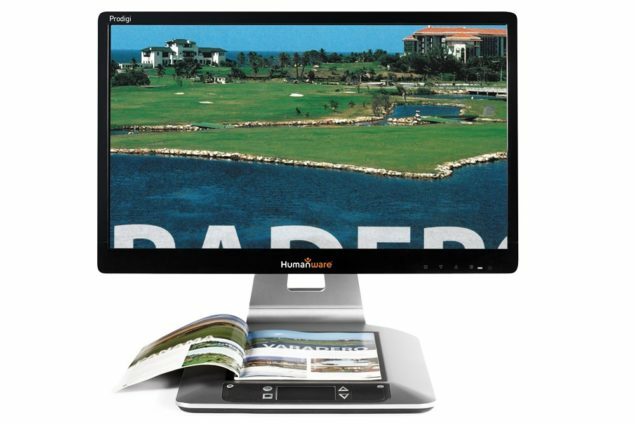 Available in your choice of a 20-inch (51 cm) or 24-inch (61 cm) LCD screen.